2011 will go down as an amazing year in my book — one in which I made the transition into health care social media (and media relations, web content, internal communications… in the health care world). I started a job as media manager at Catholic Health Partners, the largest health system in Ohio and one of the largest non-profit systems in the country, on Jan. 10. I have no regrets about leaving a satisfying career in government public relations after almost 17 years to enter health care at a time of tremendous transformation. It reminds me of when I started in government social services — and the country was in the midst of welfare reform. I feel extremely fortunate to be involved in such important events. * Leading the Catholic Health Partners Social Media Champions!, a group of social media practitioners from across the system. We confer regularly via online forums and phone, sharing best practices and lessons learned. We met in August for a Social Media Summit, featuring Krista Neher, author of the Social Media Field Guide and CEO of Boot Camp Digital. It was awesome hearing from Krista, who took a lot of time preparing for this health care audience. I sincerely appreciate the fine work she did. * Participating in media training offered by Empower MediaMarketing. It was probably one of the most challenging experiences of my PR career, guiding a selection process that led to us choosing Empower over a number of firms that provide excellent media training. But Empower didn’t disappoint. 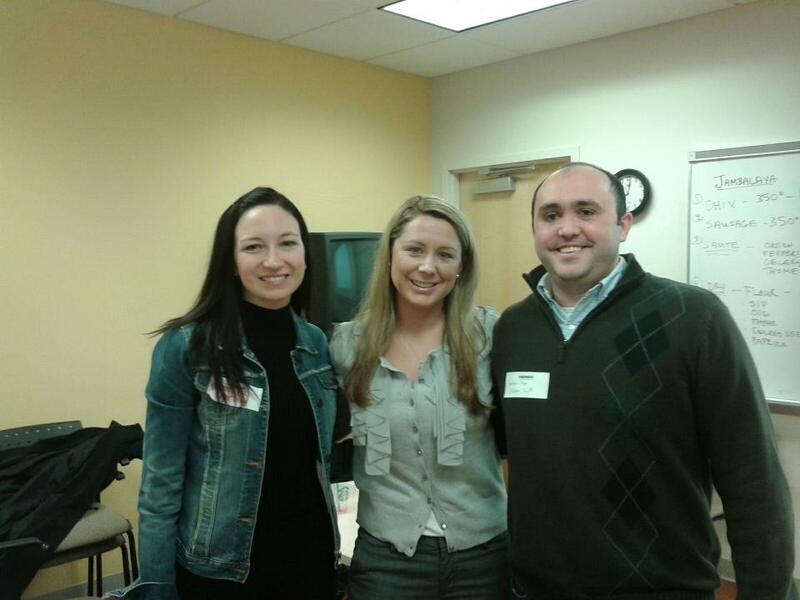 Highly regarded PR pros Kevin Dugan, Ashley Walters and Claire Guappone packed a lot into a tight time frame. They also were flexible and catered to our needs. * Working with an amazing team of seasoned professionals at Catholic Health Partners. (In all reality, this is No. 1 by far.) 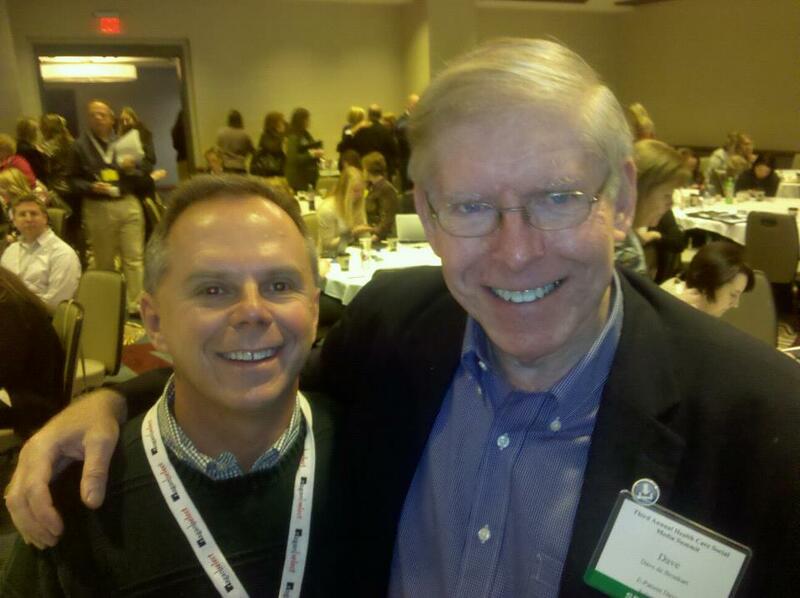 Greg Smith, my manager, has decades of health care experience and is a great all-around person. Debbie Copeland-Bloom is the consummate PR professional, also with an extensive health care background. Kathi McQuade knows video production like nobody else I’ve encountered. Carrie Allison is a talented PR pro with lots of years in health care. I am so blessed to be a part of this team. They are a joy to be around. I learn something from them every day. * Supporting my wife’s blog and book. In case you didn’t know, Tami Boehmer is author of From Incurable to Incredible: Cancer Survivors Who Beat the Odds and the highly acclaimed www.miraclesurvivors.com blog. Despite battling Stage IV breast cancer, she pushes on and inspires and informs many. Here is her year in review. * Reading lots of good books and getting some new gadgets. This seems trivial, compared to the above. But I read some really good books this year. You can read my reports elsewhere on this blog or see my reading list on my LinkedIn profile. Through the power of social media such as this blog and Twitter, I connected with most of them individually. As for the gadgets, I got a tablet (Kindle Fire) and a new Android phone. My daughter delights in my geekness! * Attending lots of great events offered by Cincinnati PRSA, Cincinnati Social Media, New Media Cincinnati and the Cincinnati American Marketing Association. They all put on very good programs and gave us a place to connect with others who are passionate about our profession. I encourage you to check out their websites or LinkedIn pages. * Returning to Twitter full-force after a detour into Google+ and health care blogland. There are lots and lots of health care folks (PR, marketing, clinicians, techies…) in areas such as #mccsm and #hcsm. I have learned so much from them — and hopefully have shared links and tidbits that have helped them. (Find me on Twitter at @MikeBoehmer57). There are just some thoughts that come to mind as I sit here on a PTO day, reflecting after a walk around the neighborhood. I’m really excited about the year ahead. I think we can all make a positive difference in the lives of others through the power of social media. Great potential lies ahead! It was appropriate that we heard Heather Whaling of Columbus-based Geben Communication talk about how her team cooked up a successful launch for Zaarly, a new online marketplace. Cincinnati Cooks, an entity of the Freestore Foodbank, operates in the area next to the conference room where Whaling (@prtini) spoke to a combined Cincinnati PRSA/Cincinnati Social Media gathering. * Start with solid messaging and story telling. Tap your online and offline networks to build momentum. * Capitalize on trends while pitching stories to the media and bloggers. Use tools such as PitchEngine, closed Facebook groups, Twitter and blogs. Connect with high-profile supporters. * Embargo press announcements. Not all media allow embargoes, but many do. Do guest posts on blogs. Provide infographics. Plant seeds with reporters — tell them you’ve got a story coming. * Go beyond trade press and seek coverage in general business media to build credibility. Seek local coverage to build interest. * Compile and monitor a list of reporters on Twitter. They often seek story ideas on Twitter. * Facebook ads and promoted tweets can be effective. * Go grassroots with community events. Start-up crawls, sort of like pub crawls, helped Zaarly. * Handle crisis communication. Seek awards. Line up speaking engagements. Do e-mail marketing. They all helped. * For the most part, see bloggers as part of the media. However, they’re responsible to their communities. Tradition journalists report to editors, (while targeting readers and viewers). * Customize pitches to bloggers. Take into consideration factors such as the fact that mommy bloggers often work after the kids have been put to bed. Offer to do a guest blog when you know a blogger is going on vacation. * Monitor social media with tools such as HootSuite or Radian6. Look for trends, pitch opportunities. I can testify that many of these strategies and tactics were on my work menu this week, too. Hope my notes did Whaling’s talk justice. I was hungry for what she had to say and happily gobbled it up. 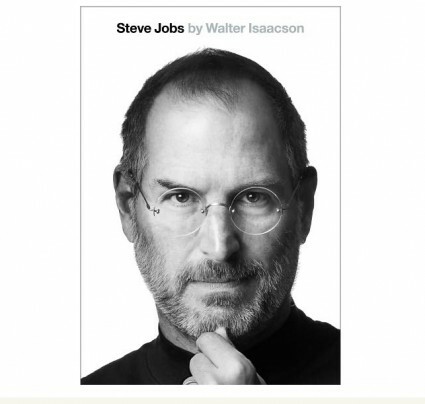 Just finished Steve Jobs official biography by Walter Isaacson. I’m really glad I invested the time into learning more about this amazing individual — someone who has made a huge impact on computing, music, movies… Fascinating stuff. It was interesting to read how Jobs approached public relations. He threw out the playbook in certain areas — and followed closely in others. For example, after hearing different opinions from PR veterans on how to handle widely reported problems with a new version of the iPhone, he decided against those who wanted him to apologize. He instead listened to a PR pro who counseled him to be factual — share data about industry cell phone standards, showing all phones have similar issues — and not sound a contrite tone. They felt an apologetic Jobs wouldn’t sound genuine. So he offered no apology, but did offer refunds for those who wanted to turn in their phones. The return rate ended up below industry standards, and the phone went on to be a top seller. On the other hand, he followed a more traditional path — getting front-page coverage in top publications by brokering exclusive interviews with trusted journalists — when doing product launches. He knew how the media worked, and built on mutually beneficial relationships to achieve his objectives. The bottom line for me, was the confirmation that PR is both art and science. There’s no cookie cutter approach. You’ve got to consider the individuals involved, the culture of the organization, the product/service, the market… Many factors. Would be curious of what you thought about the book, from a PR or marketing angle. Within hours of getting my Kindle Fire (on the first day of availability! 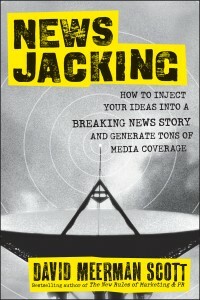 ), I had downloaded an excellent new book by David Meerman Scott called Newsjacking: How to Inject Your Ideas Into a Breaking News Story and Generate Tons of Media Coverage. I read it in two days. Scott offered me a peak into the playbook of PR pros who have capitalized on real-time communication to score big media coverage. It got my mind going about the tremendous opportunity for us to shine the media spotlight on our clients, their products and services. “(1) When something breaks in the news, journalists the world over scramble to put out a news flash within minutes. For local stories and industry-specific news, the same process happens but on a much smaller scale. “(2) Next, journalists have to update the story, fleshing it out with details and context, so they scour the web for anything that might give them a second paragraph. They turn to Google and Twitter to see who might have something interesting to add. Often they are near-desperate and willing to snap at whatever relevant bait you can provide. Scott gives tips for monitoring and promptly responding to coverage. He shares how others have done this with great results. Fire up your electronic reader and check it out!